Open the app, and select San Francisco Urban Ore: MUNI from the menu. SF Urban Ore: MUNI is a collaboration between the San Francisco Historical Society; Lucas Ho, the founder of Uncover; and Roberta Morris, owner of Leave It to ‘Berta graphic design. 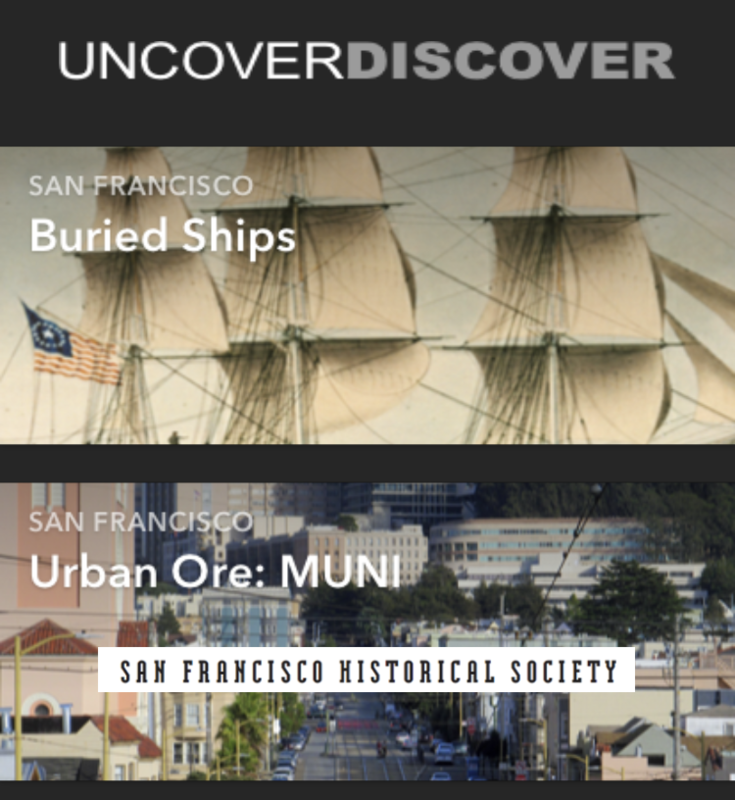 Lucas Ho (lucas@alexandriamus.com) did the coding for the SF Urban Ore: MUNI and incorporated it in to Uncover‘s existing app. Roberta Morris (Roberta@leaveittoberta.com) created the visual designs. Lana Costantini, Executive Director of the SFHS (lana@sfhistory.org), is responsible for conceptualization and development workflow. The N Judah is the first MUNI line to have virtual history stops. We hope to uncover and share layers of SF history on many more MUNI lines.